UK pubcaster the BBC is to “reinvent and refresh” its offering across England, resulting in a number of job cuts, and is seeking a deputy to director general Tony Hall after the incumbent stepped down from her position. Plans for this year include the launch of a new digital platform aimed at young audiences as well as a simplified leadership structure across the country. The Social, an online platform created by BBC Scotland, will be expanded into England, giving young people the opportunity to create content for the BBC. BBC England will also explore opportunities to commission more TV and online content for English audiences across a broader range of genres. The leadership rejig will see all 10 of its ‘head of regions’ posts disbanded. In their place will be six new senior editorial roles: a head of news and a head of TV commissioning, plus four regional roles covering the North, the Midlands, the East and South East, and the West and South West. Chris Burns, who was named head of audio and digital last year, will continue to lead local radio, with the wider changes meaning the number of senior managers will reduce from 11 to eight. The BBC has faced swingeing budget cuts over the past decade and is in the midst of negotiating whether it or the government will provide free TV licences for over-75s going forward, which costs £745m (US$1bn) – around a fifth of licence fee income – per year. 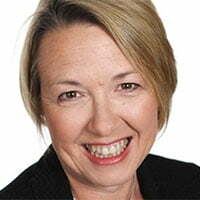 Meanwhile, Anne Bulford, who has been deputy director general at the BBC since 2013, is stepping down in spring to pursue a portfolio of non-executive roles, details of which have not been revealed. A replacement is being sought for the exec, who is responsible for finance, HR, legal, risk and technology at the pubcaster.